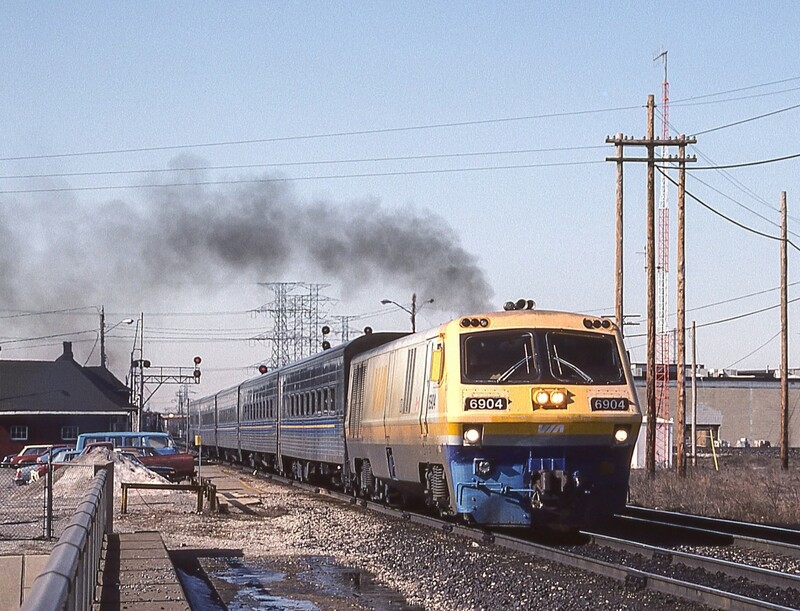 Railpictures.ca - Robert Farkas Photo: VIA 6904 is in Burlington, Ontario on March 26, 1984. That is the VIA station on the left. | Railpictures.ca – Canadian Railway Photography – photographie ferroviaire Canadienne. Caption: VIA 6904 is in Burlington, Ontario on March 26, 1984. That is the VIA station on the left.